This is your time to take a seat on "CEDS Talk: Cryptocurrency, a Digital Currency". 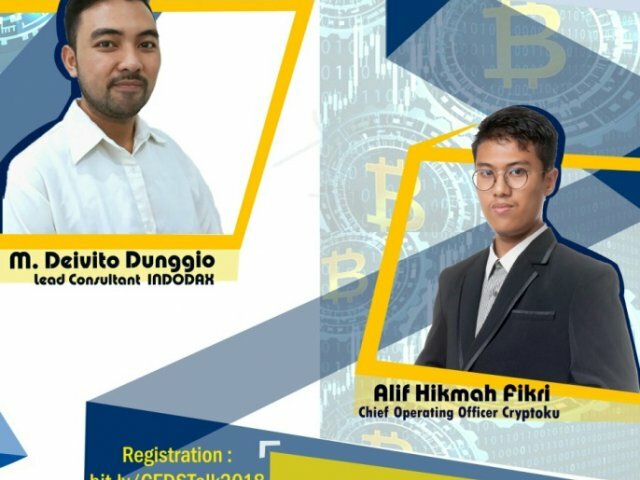 We will discuss all about cryptocurrency and have a sharing session with the people who are involved in it! Click bit.ly/CEDSTalk2018 and fulfill your form. Don't forget to ask your friends and prepare yourself before join with us. Save the date and register yourself right now!